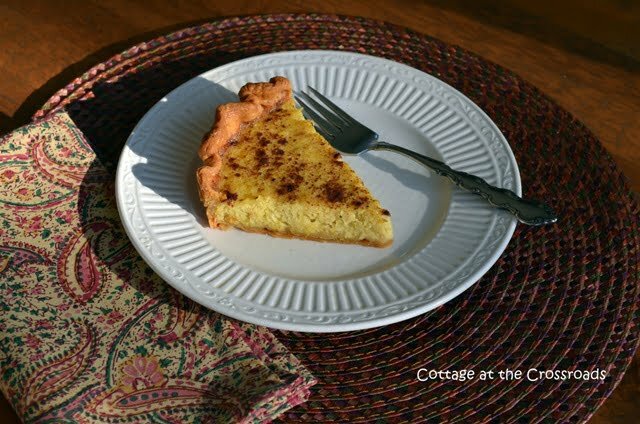 You are here: Home / desserts / A Spaghetti Squash Pie That’s Sweet! 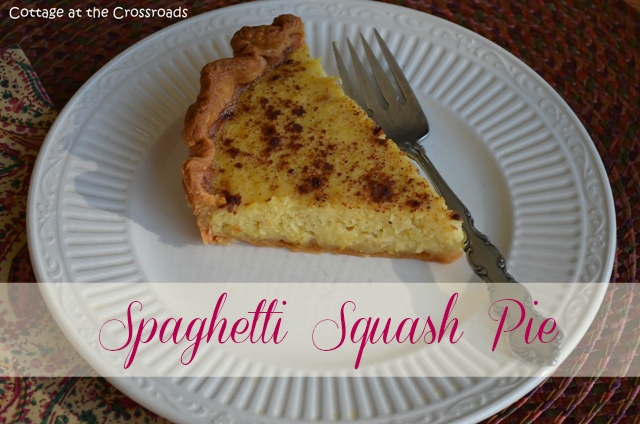 A Spaghetti Squash Pie That’s Sweet! 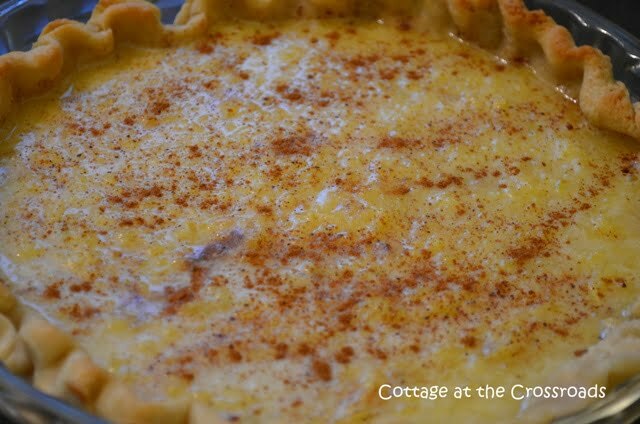 I have a pie recipe for you today that has a mystery ingredient. Shh! Don’t tell anyone, but it’s spaghetti squash! But everyone will think that it’s coconut. 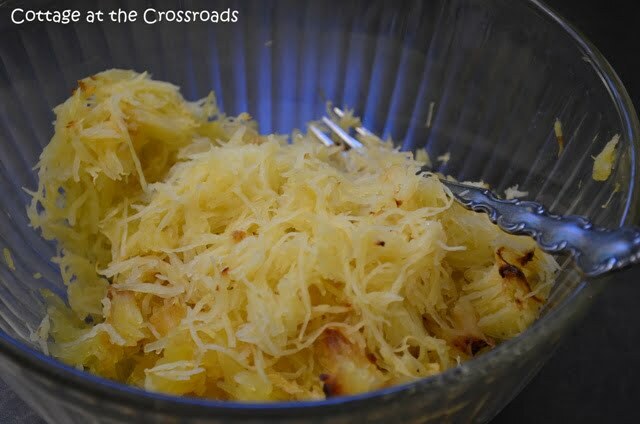 I first tried this recipe two years ago when we had a bumper crop of spaghetti squash. In my quest to find recipes to use this vegetable, someone gave me a recipe for a sweet pie using spaghetti squash as the main ingredient. When I first made the pie, Leo thought it was a coconut pie. Then I revealed that I had used spaghetti squash in the pie. He said that it didn’t matter, that it was still good. So this pie is Leo approved. To make this pie, you will need one large spaghetti squash and some muscles to split it in two. You will need to do quite a bit of hacking with the knife so be careful with this step. 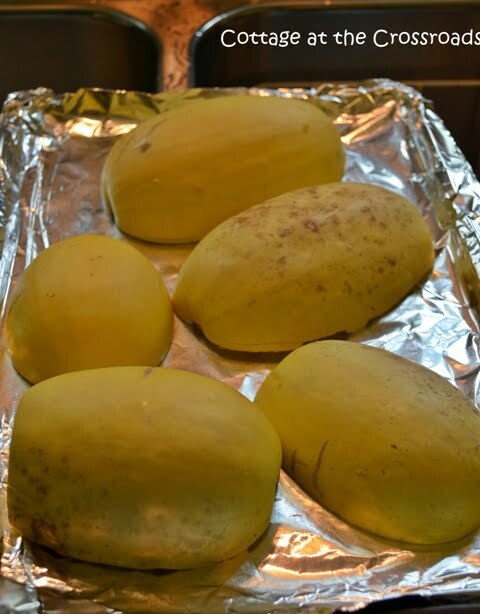 Cut the squash in half lengthwise, scrape out the seeds and pulp, then place face down on a cookie sheet. Bake 30-40 minutes at 375 degrees. I made two pies today, so that’s why I cooked all of these. When the squash is cool enough to handle, use a fork to shred the flesh. 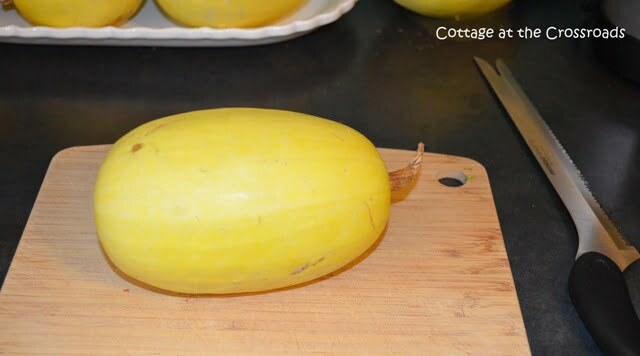 The cooked squash produces thin shreds that look like spaghetti; hence, the name. 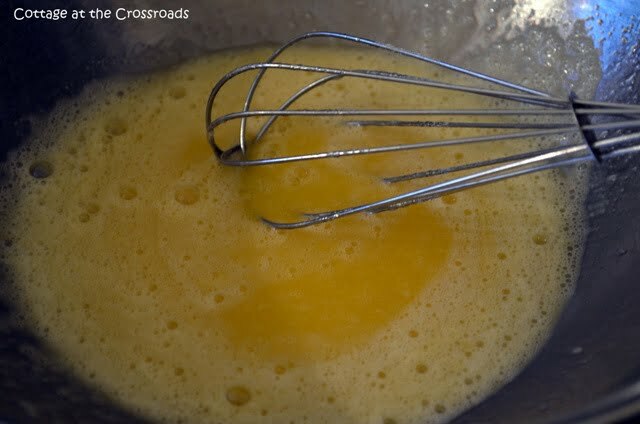 Beat 3/4 cup sugar and 3 eggs together in a mixing bowl until light and fluffy. 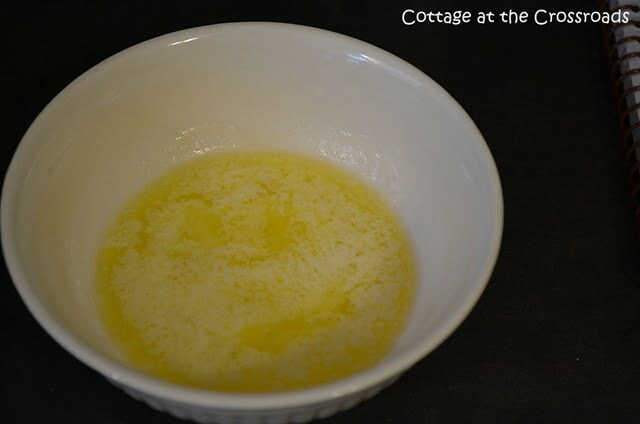 Melt 1/4 cup butter and beat in the butter into the egg and sugar mixture. Add 1 tablespoon fresh lemon juice and 1 tablespoon lemon zest. Whisk together until blended. 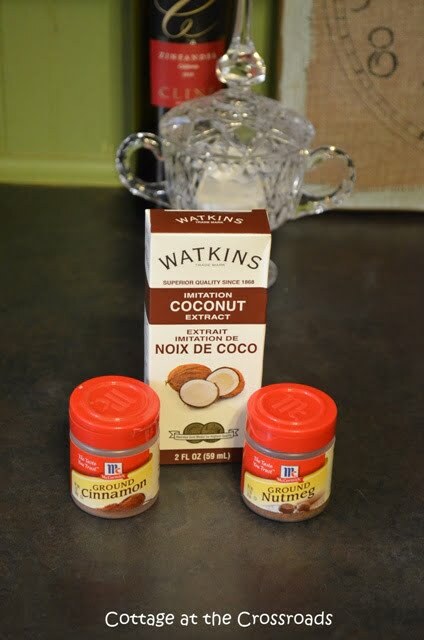 Add 1 tablespoon of coconut flavoring to the mixture. 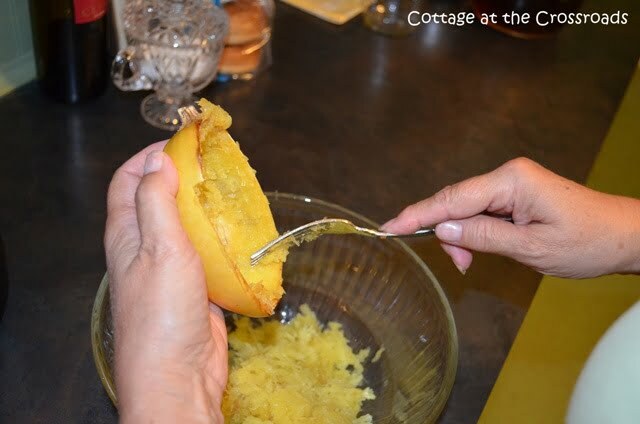 Stir in the spaghetti squash and pour the mixture into a prebaked pie shell. Dust the top of the pie with a little nutmeg and cinnamon and bake 40-45 minutes at 350 degrees until a knife inserted in the middle comes out clean. Cool on a rack before slicing. Garnish with some whipped cream, if you’d like. I made two pies today; one with a crust and one without. The pie is just as good crustless if you are cutting back on the carbs. Shh! Don’t tell anyone that you sneaked in this vegetable until they’ve finished their piece of pie! Click HERE if you’d like a printable version of this recipe. « We Have a New Camera! I must try this pie! The pictures are so good. Who is behind the camera? This sounds so good, I love Spaghetti Squash but never had it as a sweet. Your pictures are looking good with your new camera. Thanks for letting me know you liked my beans, the okra pickled would be great and have them on my list to do. Wow, that looks so good. Pictures are looking good, too. That looks wonderful, thanks for sharing the recipe! OMG, this sounds wonderful. It has to be great if it tastes anything like coconut. Thanks for sharing. Love the recipe Jane…especially since we have been on a “carb-less” diet..Looks wonderful! I really have got to try this! I first discovered spaghetti squash when I was watching my carbs. I would eat it as a side dish, sometimes with alfredo sauce…it was so good! I never thought about having it on the sweet side, as a pie. Thanks for the recipe! I love coconut so I bet this would be wonderful! My husband probably wouldn’t eat it though so I would end up eating the whole darn thing…oh well. Diet Schmiet!